[Gamasutra's look back on 2010 culminates in our staff's list of the top 10 games of the year, from a small PC gem to a great big Western and beyond -- plus personal choices from each of our writers. We've been on a major retrospective trip here at Gamasutra, but ultimately it's the games that define a year, right? Together, the Gamasutra staff discussed the games that made the greatest impressions on us, and decided on a list we feel represents the greatest 2010 has to offer -- the games that will remain in our memories as having defined the year for technical sophistication, storytelling, innovation, and pure intangible experience value. Of course, each of us have titles we individually love, too, and as a "top 10" only allows us to collectively agree on 10 games, each of us herein individually gives special recognition to games we felt strongly about this year. In an exciting year for major new releases, the staff of Gamasutra is excited to present to you our top 10 games of 2010. It's somewhat ironic that Take-Two developer Firaxis delivered such a thorough re-freshening of the classic Civilization franchise by employing a decades-old strategy game concept: the hex map. Civilization V is the first time that the franchise has used a hex map, but the changes and improvements to the series went far beyond that fundamental shift. As a whole, Firaxis managed to accomplish a supremely difficult task, which is streamlining a complex strategy game to make it more accessible without dumbing it down. It launched with some issues, but like past Civilization games, there will be ongoing updates and improvements to the complex system. Despite any issues, even on release day, Civilization V was still was fun enough to play for hours straight. To call this game a timesink is a disservice; Civilization V solidifies the continuing relevance of the revered series, and is one of the best arguments for the importance of the overall turn-based strategy genre that you can find. For a developer with such deep roots in classic PC-based role-playing games like Baldur's Gate and Neverwinter Nights, BioWare has shown over the past several years increasing understanding of what kind of gameplay works for console players, at the same time bringing over the rich storytelling that classic BioWare PC games were known for. That said, the PC version of Mass Effect 2 was enjoyable in its own right. A sprawling universe, unexpected, clever story developments and a memorable ending (much more so than the original Mass Effect) means this RPG finds fans on both sides of the PC-console divide. There are some legitimate complaints about the game: the battle system, while improved, could still do with more interesting inter-character combo attacks, the side roads of a branching storyline ultimately merge back into a largely linear interstate, and, well, there was the planet scanning (which wasn't quite as tedious with a mouse as opposed to a controller). But even with those issues, Mass Effect 2 is overall an experience infused with memorable characters, planets and events that feel distinctly "Mass Effect," a notable achievement in such a crowded genre. The basic human instinct to practice survival through play is woven into the DNA of all video games, but in Minecraft, the indie title that dominated PC gaming in 2010, it's hewn into the very rocks that make up its randomly-generated world. You are deposited into a field, your only task to create shelter for yourself from the beasts that rise at sunset. It's survival horror in its purest form, no need for cinematic shocks to punctuate the creeping sense of dread as you race to fashion tools from gathered wood and set about digging a hole in which to cower. Survive the first night and the game that dawns on the second day is entirely different to the one you played on the first. Minecraft's brilliance is to be found in the way in which goals, almost all self-made, unfurl in new directions with the passing of time. Want to construct a working computer? Sure. Create a scale replica of the Taj Mahal? No problems. How about turn the world into a giant Monopoly set? Pass go. By giving the player exactly the tools they need to express themselves, Minecraft is perhaps the closest we have to a true God game. And outside of its confines, it's one of the most interesting commercial stories of the year, turning its one man creator, Notch, into a multi-millionaire before it's even into Beta. As a result, here is a little game that in its purity of vision has irrevocably changed the very landscape of gaming, even as we have irrevocably changed its own landscape in kind. Much coverage of the long-awaited Fallout 3 follow-up revolved around the bugs and imperfections present in the title, but players were in for something incredible if they could be patient (or lucky). It seemed hard to top the vision of the U.S. capital nearly melted to ash, but the portrayal of a former hub of American decadence at distance of the zone is in many ways more fascinating in its nuance. The distinct influence of Rome's tragic story of out-of-control power on the gameworld is well-thought, and appropriate, and the game offers enough freedom that the player can choose to make it either a celebration or a condemnation of all kinds of excess. And as the game starts to draw a story of factions warring for control, the loyalty system in which the player participates provokes lots of thought on the nature of power in a world with laws upended. So maybe it needed a little more time, but in a year of big blockbusters, a project with a little subtlety, a richly-realized world and a thoughtful, multilayered story came much appreciated. The latest entry in the Rock Band series may not pack the explosive commercial punch that the franchise did just a few short years ago -- let alone the insane hype of the Beatles edition -- but it does refine and expand the concept in important and compelling ways. Of course, the most obvious addition is the "pro mode" songs and instruments. Designed to let players transition from mimicry to true performance, they're an interesting and rare example of video games, outside of the serious games sphere, teaching real-world skills. But just as important in many ways is the complete and total refinement of interface and copious customizability of play modes. Rock Band 3 has evolved into the ultimate party game not just because everyone loves to play, but because Harmonix puts real thought into making it simple and accessible -- and the studio is at the forefront of U.I. design in the industry. If you want huge innovation in a real-time strategy game, don't look to StarCraft II. But if you want fast-paced multiplayer gameplay that has over a decade of polish under its belt (plus continuing balancing) and a single-player story that delivers the flawlessly-delivered, borderline sci-fi camp-ness and action that StarCraft fans expect, then here's your game. Innovation was never Blizzard's goal with StarCraft II -- the goal was peerless execution. Just the fact that the incredibly-polished StarCraft II delivered on such inordinately high expectations is enough for it to make the top of this list. Successfully take on the enormously difficult task of integrating the game with a totally new Battle.net, sell a million copies on opening day and bring back old StarCraft fans while creating new ones... then you have one of the standout games of 2010. It'd be easy to assume Nintendo was just cashing in on the success of the original Super Mario Galaxy with this sequel, the first direct, same-console follow-up to a major Mario game since the original NES (Yoshi's Island is way too different to count, nitpickers). And at first glance, the game does seem like nothing more than an expansion pack containing additional levels for the widely hailed original. But oh, what levels. Galaxy 2 highlights the franchise penchant for inventive design by spreading the by-now-familiar collectible stars across many more areas than previous 3D Mario adventures, each making inventive use of the game's gravity-warping physics and tight controls. The result is shorter, more distinct levels that feel more focused on a single theme, yet without losing the sprawling sense of open exploration that has been a series hallmark since Super Mario 64. And then, just when you think the game is wrapping up, new star and time trial challenges encourage even more exploration of these dozens of exquisite, self-contained universes. The clever reintroduction of a rideable Yoshi, new suits and items and some of the toughest challenges this side of Super Mario World's Special World further prove that this title was more than a quick cash-in. Usually we'd be ready for Nintendo to take its time and prepare something truly new for the next Mario adventure, but as it stands we wouldn't be at all unhappy if the company announces Super Mario Galaxy 3 for a quick release. Platinum's Bayonetta seems as if it's trying hard not to be liked: Hyper-stylized to the point of garishness, it features a disproportionate heroine who uses her hair as a weapon -- and as clothing, meaning she frequently ends up naked. What is this, a deliberate kiss-off to healthy female role models? Plus, the game's garish and implausible, bursting with filigree, butterflies and senseless conglomerations of religious iconography, begging to be deemed poster child for the whole "Japanese games alienate Westerners" thing. And yet, somehow it all works as absurdist fiction. Bayonetta is like a slick, glorious pulp movie, its excesses as celebratory as a Tarantino film. It wages such a calculated, eloquent war on taste that it creates its own style, riotously pleasing to play. It doesn't hurt that the combat feels brilliantly-executed, fluid and hooky as choreography, and that the action sequences are in large part tautly plotted and exhilarating, with storyline and interface that stay wisely out of the player's way. The game is a spiritual sibling to the Devil May Cry series in more ways than one, but Devil May Cry took a long time before it hesitantly stopped pretending it wasn't ridiculous. Bayonetta is proud of what it does and it does it all-out, with delightful distinctiveness and aplomb. Edmund McMillan and Tommy Refenes at Team Meat never expected Super Meat Boy to be quite the XBLA hit that it has, but perhaps they should have. This tough-as-nails platformer is so chock full of content that it'd be a bargain even at boxed retail price, with alternate versions of each level, retro throwback mini-stages accessible through warp zones, and unlockable characters and modes. The thing SMB (not an accidental acronym, I'm sure) gets most right is the control, which in spite of using the 360 analog stick, manages to feel precise and sticky, even in a 2D environment. This means that no matter how difficult the game may be, you always know it's your fault when you die, which can minimize frustration (well, a bit at least). The game also features characters from other classic indie games, such as Braid, Alien Hominid, and Spelunky, making for a package that is so precise, so clever, and so robust that it's no wonder folks are raving about it. McMillan's irreverent sense of humor doesn't hurt either, extending even to the point of baiting PETA into making a parody of his game, which he then turned around and parodied himself. You're half-dead, under heavy fire from the Mexican army and running out of ammunition. In desperation you call your horse, who gallops over the ridge with the sun rising at its back through the sage. You swing onto the saddle and ride like hell until you reach the next safe town. That scenarios like this are so common in Red Dead Redemption speaks volumes to the reverence with which Rockstar treated the Western genre, effectively ending the game developer legend that "cowboy games don't sell." 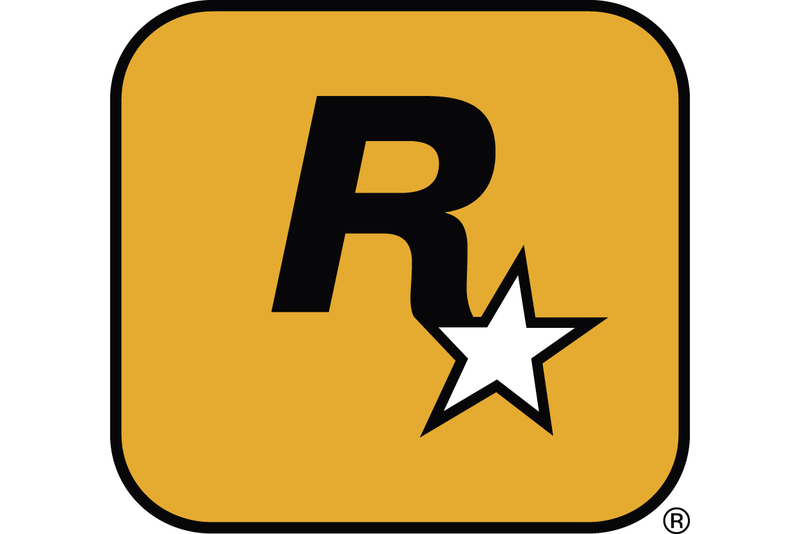 RDR presented a compelling open world that players hadn't really been exposed to in games before (at least not this effectively), and the result was a slew of accolades and massive sales. The game does a fantastic job of making the player feel like they're making significant choices, forming relationships (especially with horses), and discovering locations on their own, when in fact their options are rather limited - that kind of trickery is to be praised, since the intent is to entertain the player. And let's not forget the excellent downloadable content, including the popular Undead Nightmare, which adds zombies (overplayed though they may be) and a firefight mode to the game's already excellent multiplayer mode. In all, Red Dead Redemption makes our list because it inspires imagination and engagement in players, giving the game a sense of agency and purpose, which is what many (if not all) games aspire to. Halo: Reach (Bungie, Xbox 360) Thanks to a graceful visual palette and an actually-sincere attention to storytelling, it's the first title in the franchise I didn't roll my eyes at. BioShock 2 (2K, Xbox 360/PS3, PC) The original was a tough act to follow, but the sequel was wildly underrated -- with smart thematic continuance, gorgeous setpieces and more compelling characters, it did a couple of things better than its predecessor. Castlevania: Lords of Shadow (MercurySteam, Xbox 360/PS3) Unfortunate that pacing issues and slow entry turned many away from what, by its resolution, was might be the first real story in the dated Castlevania franchise. And baffling that somewhat-earned gameplay comparisons to God of War, arguably the leading melee combat title, worked as negatives? Deadly Premonition (Access Games, Xbox 360/PS3) Great story and dialog, bizarre design choices and 80s pop culture history abound in 2010's top cult game, and my personal game of the year. Super Street Fighter IV (Capcom, Xbox 360/PS3) Street Fighter IV revitalized the fighting genre, and SSFIV is really just more of the same - but more of the same greatness still makes a list, for me! Kinectimals (Frontier Developments, Xbox 360 Kinect) This is one of the best-written and best-designed games for kids I've seen in ages, allowing a child to be taken on a personal adventure with a personal pet. Great youth-orientation. Pinball FX 2 (Zen Studios, XBLA) A pinball simulation on a computer may not be the most 'video game'-like experience, but Zen's expertise in designing tables and the well-crafted, modular nature of buying/importing new content shines through. Add to that best-in-class social integration with regard to individual/friend high scores, plus perfect simulation and compelling gameplay, and you get easily one of the most fun games of the year. Joe Danger (Hello Games, PSN) Joe Danger is a lot of fun, but it's the polished, careful, almost reverent attitude to making 'an arcade game' that really impressed. When the independent games scene is increasingly about deep thoughts and artistic statements, it's great to see a title that's just intended to be a lot of fun -- and, more to the point, delivers. Chime (Zoe Mode, Xbox Live Arcade/PC) Despite some deliberately warring game mechanics -- which may even spice up the tension in the title -- Chime feels like a serene, wondrous audio-visual feast. It particularly helped that the soundtrack was bang on my tastes, spanning Lemon Jelly and Orbital notables, but the biggest shame was the lack of DLC. Heavy Rain (Quantic Dream, PS3) It drew a lot of attention for delivering storytelling outside of the norm for games -- and this is good. Heavy Rain was gripping and emotionally affecting, and most importantly tied gameplay and story together instrinsically. Kirby's Epic Yarn (Nintendo, Wii) It may have been Entertainment Weekly's Worst Game of the Year but was also as charming as the series has ever been, and an exemplar of inventively tying aesthetics to gameplay. No More Heroes 2 (Grasshopper Manufacture, Wii) More than a streamlined sequel, No More Heroes 2 adds more assassins with more character to the No More Heroes formula. And the anime-loving, murderous protagonist Travis Touchdown shows a slight hint of inner conflict about his profession... but not so much as to spoil the fun. Amnesia: The Dark Descent (Frictional Games, PC) One of the scariest games in recent memory, Amnesia immerses players in an eerie, atmospheric castle inhabited by seemingly omnipresent, evil creatures. The tension can bear down so hard that you might need to step back, collect your sanity, and remind yourself that this is only a game. Call of Duty: Black Ops (Treyarch, Xbox 360/PS3/PC/Wii) You can knock Call of Duty: Black Ops' fist-bumping machismo, but the game knows what it is: an unapologetic, violent shoot-fest. An intriguing mind-bending story that plays with history and over-the-top multiplayer (that adds killer packs of dogs!) means Black Ops will keep players busy till the next Call of Duty entry. Oh, and it generated $1 billion in sales, too. Just Cause 2 (Avalanche Studios, Xbox 360/PS3/PC) One of the first games to elevate explosions into an in-game currency from mere window dressing, Just Cause 2's National Geographic photo-spread of a world is one of the year's most enjoyable to visit both as a tourist and as a terrorist. Dragon Quest IX (Square Enix, NDS) Yuji Horii's latest may enjoy contemporary flair by way of its multiplayer component, but the fairytale aesthetic is as traditional as it ever was, and repairing this world, one quest at a time, is one of the year's most engaging and affecting journeys. Need for Speed: Hot Pursuit (Criterion Games, Xbox 360, PS3, PC) Criterion trimmed away the fat of its previous title, Burnout Paradise and returned to the schizophrenic Need for Speed series' first principle of cops vs. robbers for this startling re-imagination. But it's in the introduction of Autolog, an always-on competitive social network overlay, that this release becomes a game-changer, evolving the humble leaderboard to an obsessive, prodding competitive pursuit. Monday Night Combat (Uber Entertainment, XBLA, PC) The best of squad-based combat meets the best of tower-defense in an eminently approachable yet surprisingly deep multiplayer experience. Dance Central (Harmonix, Xbox 360 Kinect) The best game for showing off the potential of the Kinect is the one that doesn't use your real-world movements to control an on-screen avatar. Instead, it takes the heart-pumping action of Dance Dance Revolution into the real world without such a maddening focus on rhythmic precision to create the world's most accessible rhythm game. Limbo (Playdead, XBLA) Short, yes, but the combination of foreboding, minimalist aesthetics, clever, outside-the-box puzzles and amusingly gruesome death animations made sure I couldn't put down the controller until the very end. Scott Pilgrim vs. The World: The Game (Ubisoft Montreal, XBLA/PSN) As a modern throwback to traditional arcade brawlers, Scott Pilgrim shines through its unwavering celebration of both its source material and classic gaming culture. Assassin's Creed: Brotherhood (Ubisoft Montreal, Xbox 360/PS3) While best known for introducing multiplayer to the franchise, Brotherhood also offers the series' most robust single player campaign yet, with a slew of optional objectives, missions, and subsystems that make the game's historical setting a joy to inhabit. Puzzle Agent (Telltale, Wii Ware/iOS, PC) Telltale's Puzzle Agent stands apart from other brain-teasing titles like Professor Layton by offering puzzles that blend seamlessly into the game's overall narrative, and its charming art, writing, and voice work add levity to the game's spooky plot.